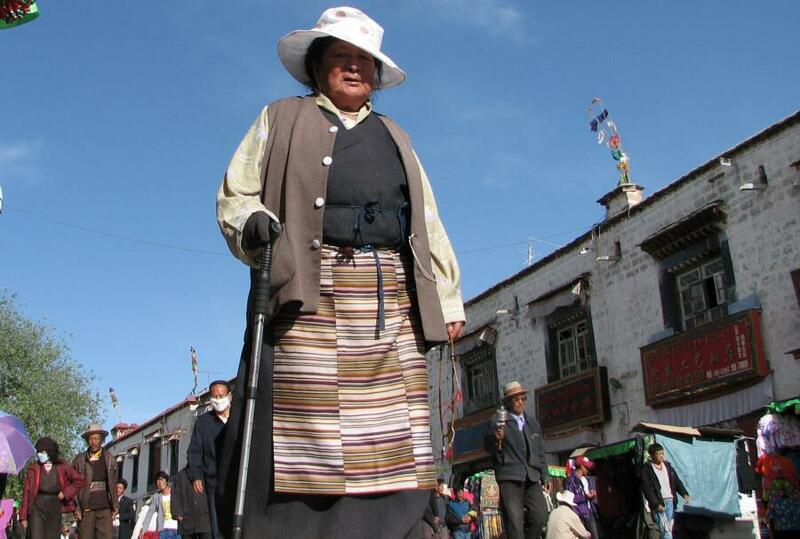 In May 2010 I made a short trip to Lhasa, the capital and holy city of the Tibetans. While I was in Lhasa the Tibetan people were celebrating a religious festival. Thousands of pilgrims, arrived from different places walked from the morning until night around the Potala Palace, the Jorkhand Temple or the perimeter of the Old City. Among them there were several hundreds that have made the whole pilgrimage in a continuous prayer, kneeling and touching the earth with their forehead every two steps. Their faith impressed me so vividly that I shoot some series of pictures as a tribute to them. © Copyright. These pictures are copyright material. Any media interested in reproduce them must contact the author trough www.ethnic-china.com. Any unlicensed publishing in any media is strictly forbidden.